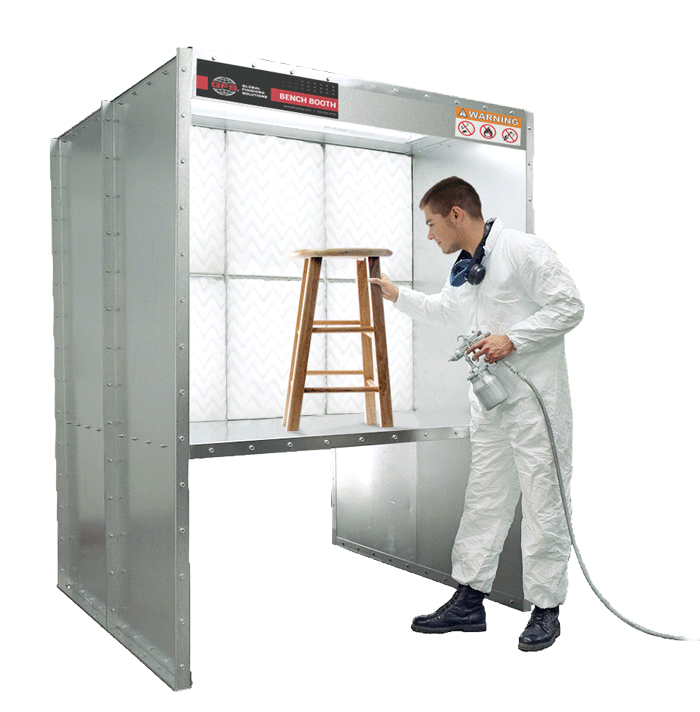 Our smallest paint booths, Bench Paint Booths from Global Finishing Solutions® (GFS) allow businesses and hobbyists to paint small products in a safe, code-compliant environment. Models are available with an integrated raised bench or designed to be placed on a countertop to make painting small parts easy and accessible. With fast shipping on Bench Booths, you can start painting sooner. 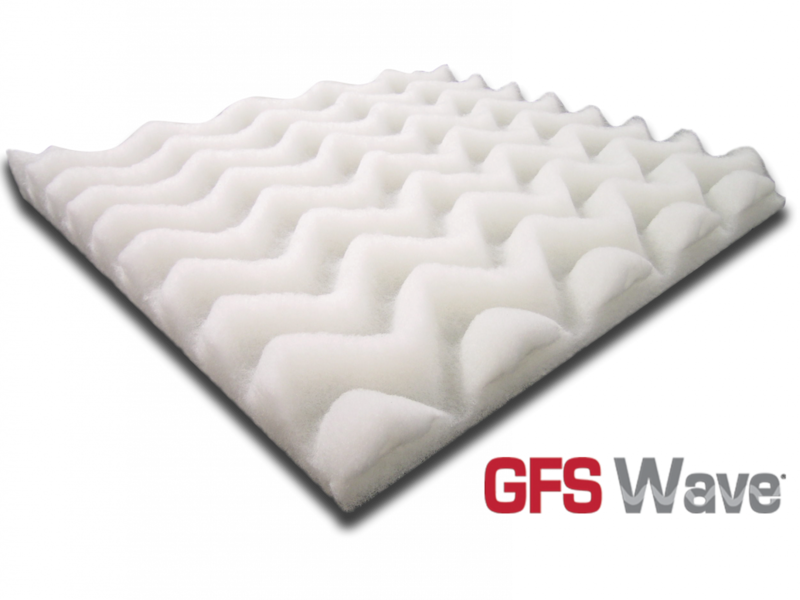 GFS Bench Booths come complete with a full set of 20-by-20-inch GFS Wave exhaust filters. Installing and replacing filters is easy with the grid system; you can avoid waste and save cost by replacing only the filter squares that need changing. An included manometer indicates when filters need to be replaced. 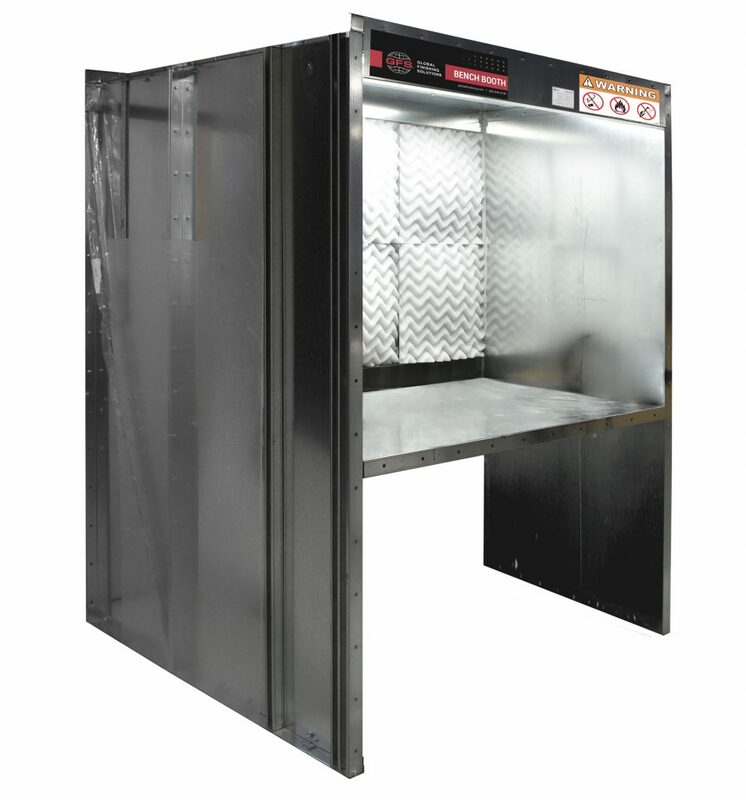 Bench Paint Booths from GFS are constructed from high-quality, 18-gauge, G90 galvanized sheet steel. 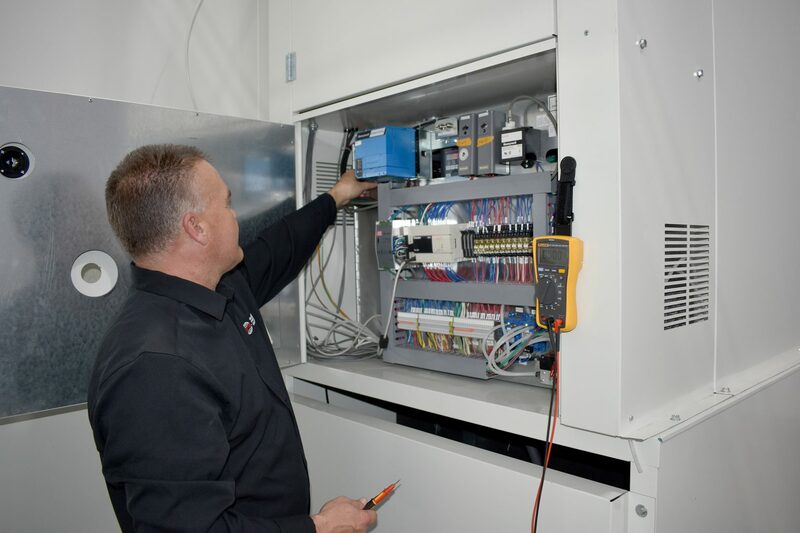 Quality components — including precision-punched panels with sturdy nut-and-bolt assembly on all booth models — confirm longevity, safety and excellent structural integrity. From start to finish, GFS precision engineers each Bench Booth with the customer in mind. Businesses can count on GFS’ unmatched Technical Services department and extensive distribution network for lifelong service and support of your GFS paint booths. Fill out our request form, and we’ll put you in touch with a distributor in your area.